The Castle of Jumilhac is an attractive castle positioned high above the valley of the Isle River. 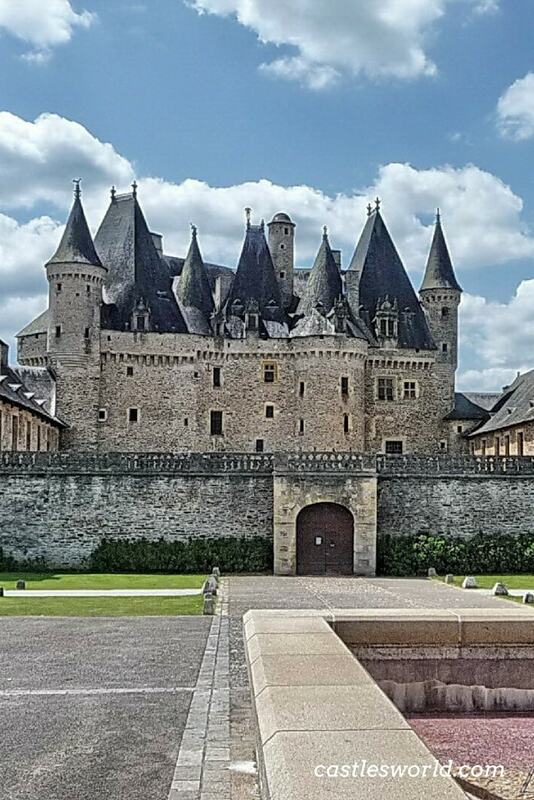 It is especially known for the extravagant towers and turrets that have led Jumilhac to be described as having the most romantic roofs in France. Although the first fortress on the site was built in the 13th century when it played an important defensive role, the present building largely dates from the 16th and 17th centuries when the original structure was heavily modified and turned into a luxurious Renaissance residence. From its early period, two historical facts are worth mentioning. 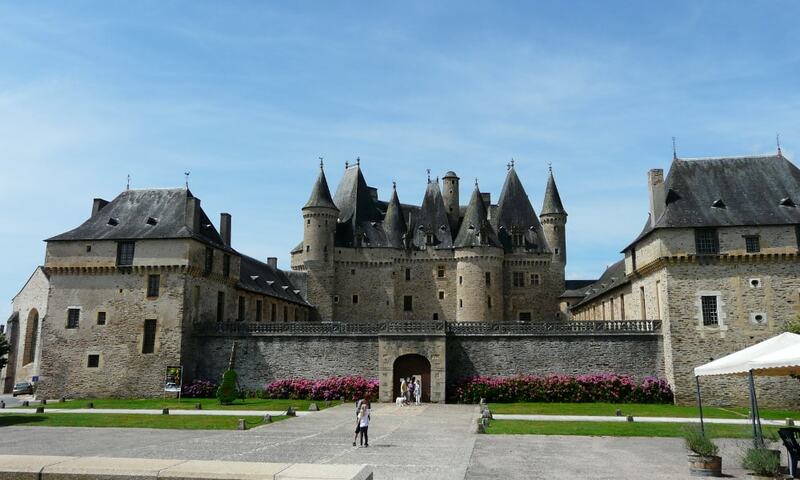 At the beginning of the 13th century, French King Philippe Auguste attacks and destroys the fortress; it was rebuilt by the La Porte and Bruchard families. During the Hundred Years War, French commander Bertrand du Guesclin besieged the fortress and beats the English troops of Edward, the Black Prince in 1370. From the 16th century, apart from a period during the 19th century, the castle has belonged to the same family: the Counts of Jumilhac. Interestingly, the first Count of Jumilhac practiced alchemy in secret, since it was illegal at the time. Nevertheless, he left various clues and signs at the castle: three angel statues on the roof, a tall chimney-like turret which could have been used for an alchemist oven and the design of the gardens. In the next century, the castle was restructured again in the style of the 17th century. The defense towers were transformed in housing wings and the castle was made much more habitable with large rooms and more windows. The property was sold to a major sugar manufacturer family in the 19th century, but in 1927, Odet de Jumilhac and his wife bought back the family Castle. After several years of renovation, the castle has been open to the public in 1964. Today, Castle of Jumilhac is acknowledged for its elaborate roofs with ornate turrets and towers further enhanced by splendid ironwork. Inside, there are several interesting rooms with beautiful wooden floors and grand fireplaces that visitors can admire. A particular highlight is the Bedroom of the Spinning Wheel (Chambre de la Fileuse) where Louise de Hauteford was imprisoned for nearly thirty years while her husband was away to war. He wanted to make sure she could not meet other men; despite that, she still could manage to communicate with a lover by messages hidden in sewing bobbins. Beautiful French style gardens complete the site. They continue the alchemy theme and are laid out as a gold garden and a silver garden.